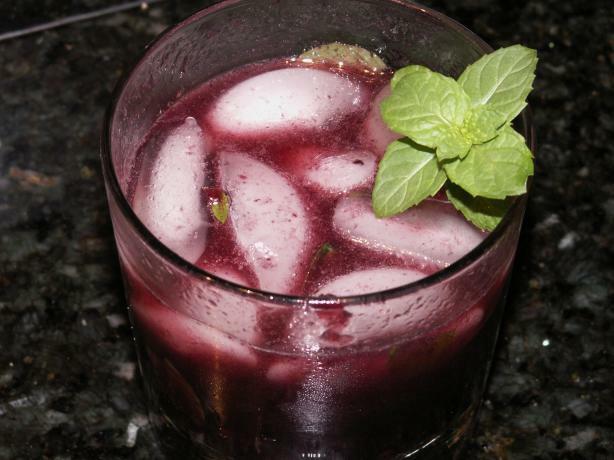 Sasaki Time: Blackberry Mint Juleps Recipe! 1 In a small bowl, mash together the blackberries, sugar and vanilla and let sit at room temperature until juicy, about 20 minutes. 2 Strain the mixture through a sieve into a bowl, pressing against the solids with a rubber spatula; discard the seeds. 3 For each drink, place about 3 tablespoons of the blackberry syrup and 8 mint leaves into a cocktail glass and muddle together using the handle of a wooden spoon. 4 Fill with crushed ice, 1/4 cup bourbon and a splash of seltzer. Garnish with a mint sprig.